PennsylvAsia: Steven Lim at Pitt, January 29. Steven Lim at Pitt, January 29. 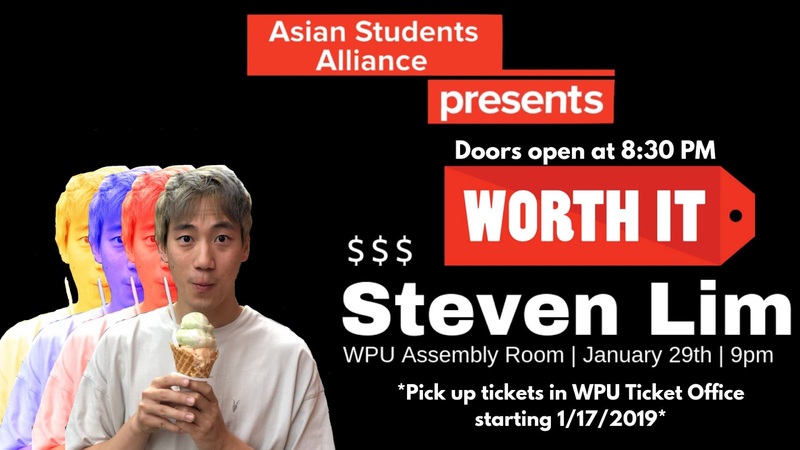 The University of Pittsburgh's Asian Students Alliance will host Steven Lim on January 29. Steven Lim is a Chinese Malaysian American producer from Ohio, best known for creating and co-hosting the YouTube series, Worth It. In the show, he and his crew try three different foods at three drastically different price points: affordable, middle-tier, and high-end. Check out one of his most popular videos below! It runs from 8:30 to 11:00 pm on the 29th in the William Pitt Union Assembly Room (map). Tickets will be available from January 17 and are free for Pitt students with valid student IDs and $5 for the general public. Singer JR Aquino at Pitt, January 26.